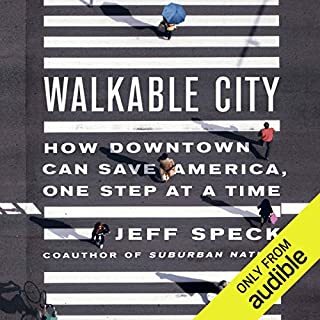 An aversion to urban density and all that it contributes to urban life, and a perception that the city was the place where "big government" first took root in America fostered what historian Steven Conn terms the "anti-urban impulse." 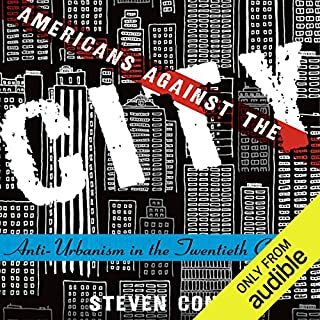 In this provocative and sweeping audiobook, Conn explores the anti-urban impulse across the 20th century, examining how the ideas born of it have shaped both the places in which Americans live and work, and the anti-government politics so strong today. This first full-scale history of the development of the American suburb examines how "the good life" in America came to be equated with the a home of one's own surrounded by a grassy yard and located far from the urban workplace. 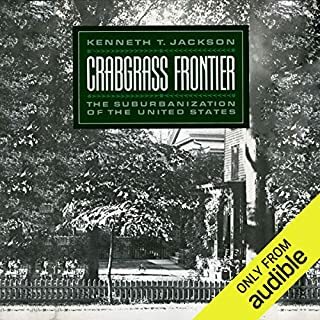 Integrating social history with economic and architectural analysis, and taking into account such factors as the availability of cheap land, inexpensive building methods, and rapid transportation, Kenneth Jackson chronicles the phenomenal growth of the American suburb from the middle of the 19th century to the present day. "The government in the past created one American Dream at the expense of almost all others: the dream of a house, a lawn, a picket fence, two children, and a car. But there is no single American Dream anymore." For nearly 70 years, the suburbs were as American as apple pie. As the middle class ballooned and single-family homes and cars became more affordable, we flocked to pre-fabricated communities in the suburbs, a place where open air and solitude offered a retreat from our dense, polluted cities. 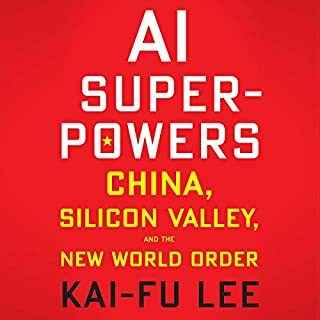 Before long, success became synonymous with a private home in a bedroom community complete with a yard, a two-car garage and a commute to the office, and subdivisions quickly blanketed our landscape. But in recent years things have started to change. An epic housing crisis revealed existing problems with this unique pattern of development, while the steady pull of long-simmering economic, societal and demographic forces has culminated in a Perfect Storm that has led to a profound shift in the way we desire to live. We want out of our cars: As the price of oil continues to rise, the hours-long commutes forced on us by sprawl have become unaffordable for many. Meanwhile, today’s younger generation has expressed a perplexing indifference toward cars and driving. Both shifts have fueled demand for denser, pedestrian-friendly communities. Cities are booming: Once abandoned by the wealthy, cities are experiencing a renaissance, especially among younger generations and families with young children. At the same time, suburbs across the country have had to confront never-before-seen rates of poverty and crime. Blending powerful data with vivid on-the-ground reporting, Gallagher introduces us to a fascinating cast of characters, including the charismatic leader of the anti-sprawl movement; a mild-mannered Minnesotan who quit his job to convince the world that the suburbs are a financial Ponzi scheme; and the disaffected residents of suburbia, like the teacher whose punishing commute entailed leaving home at 4 a.m. and sleeping under her desk in her classroom. Along the way, she explains why understanding the shifts taking place is imperative to any discussion about the future of our housing landscape and of our society itself - and why that future will bring us stronger, healthier, happier, and more diverse communities for everyone. This was informative regarding cities and suburbs and the Toll Brothers. It was interesting enough to come back to when I would tire of it after listening to it for several hours. But in the end I didn't get what I really wanted, which was a real sense regarding the future of cities and suburbs. I can save you a credit if you want to know if the suburbs are going the way of the dodo, they aren't, according to this book. 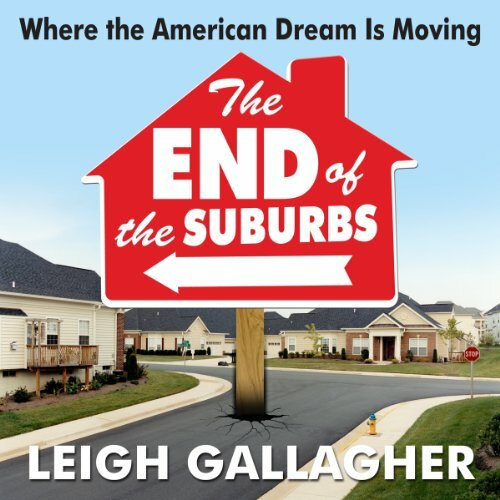 They are changing, and you will get a history of the suburbs in America, but no end. Yes, though as the previous reviewer said, it's best for an hour or so at a time. The overview of suburban development and relative decline is helpful, though quite repetitive, but she has some very good and memorable vignettes. Repeatedly mispronouncing fairly simple words. The audio needed a good editor. 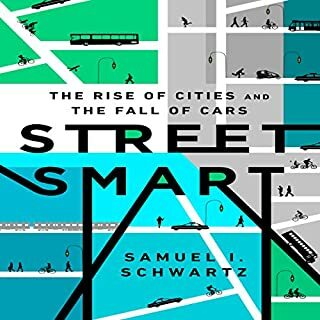 As for the writing, tighter editing would be helpful to avoid falling into the same cliches - and much more sustained attention to the paradox of how suburbanites' return to the urban core is reshaping the character of cities ("suburbanizing" them). 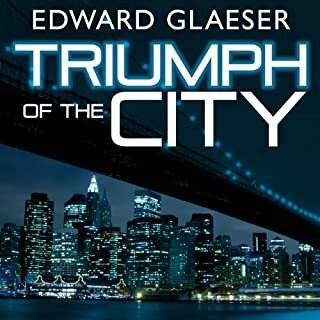 The narrator has a pleasant voice, but unfortunately the mispronunciations are distracting.